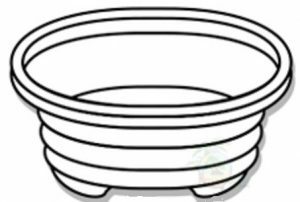 Home / Pots / Clearance: 10 Assorted Mini Pots. Limited Stock! Clearance: 10 Assorted Mini Pots. Limited Stock! Assortment of 10 pots ranging from 3 to 5 inches. You will receive at least 5 different styles of pots. Drainage screens and soil are not included. Pots only. Shipping available to the lower 48 only. International and US territory orders will be rejected.